Georgia's Home Inspirations: Georgia's Is On The Road Again! Georgia's Is On The Road Again! Summer is coming to a close and Georgia's has been busy hitting every market in search of great vintage finds that are utilitarian and will mix in with any decor. We are heading to New York this week and then on to the Brimfield Antique Show in Brimfield, Massachusetts. Before we go, we wanted to share a few of our favorite finds from two barn sales that we attended last weekend. I can't tell you how much I love this late 1800's two-board mahogany table! We are getting lucky with benches. The original green paint is so cheery and we love the mortise and tenon construction. This mid 1800's poplar 6-board (each side is one solid board) blanket chest hails from New York and also has original paint. While it looks teal in the picture, it is actually a beautiful sea green. 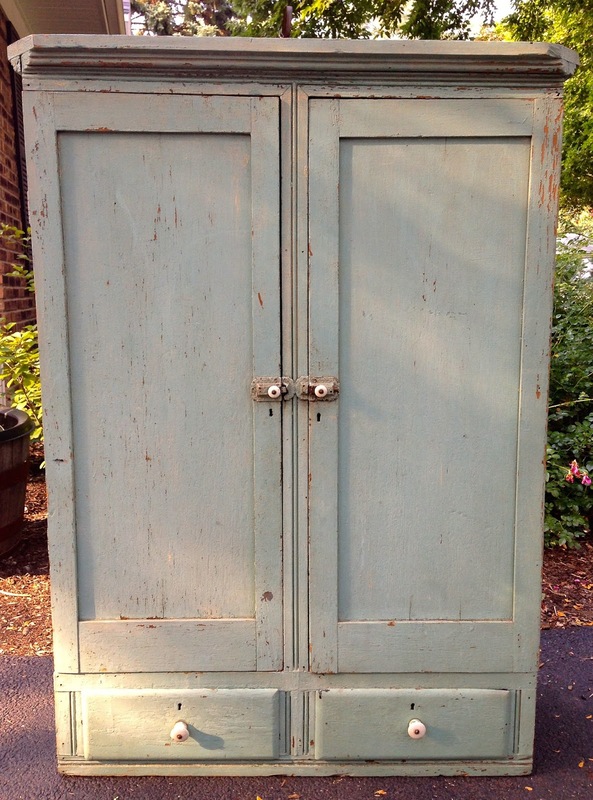 We couldn't pass up this vintage robin's egg blue wall cabinet. Great color, moulding and hardware! Are you looking for something in particular, let us know. 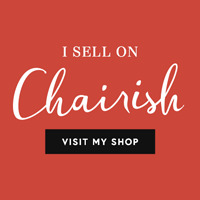 You can also find our products listed on One Kings Lane. If you're not a member, sign up, it's free! We currently have two farm tables for sale and a vintage green swing scheduled for sale on August 29th. While we're away we'll stay in touch by posting inspirational finds and moments on Facebook. Visit us or follow us @ GeorgiasHI on Instagram. We'll be back in two weeks!